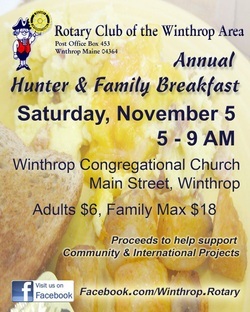 Our annual Hunter & Family Breakfast is grand time of fellowship for the club and our community friends. Rotarians began arriving around 3AM, some were baking at home; friends, family and hunters began arriving at 5AM. Good food, good friends, great community. Enjoy a sampling of photos below.